The former governor of Zamfara State, Alhaji Mahmuda Aliyu Shinkafi, alongside his political associates and supporters yesterday defected to the All Progressives Congress (APC) from the People’s Democratic Party (PDP). 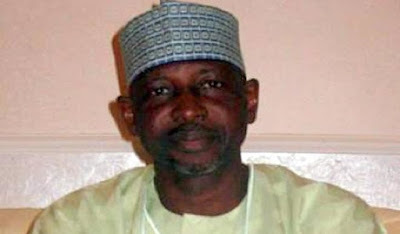 Shinkafi’s defection wagon was said to be heavily loaded as his former chief of staff, Alhaji Musa Zubairu Nassarawa Mailayi, his deputy governorship candidate during the 2015 election, Alhaji Malami Aliyu Yandoto and his former Secretary to the State Government (SSG), Alhaji Mamman Bawa, all followed him to the APC. Others who joined Shinkafi’s train to the APC were PDP chairmen in all the 14 local government areas of Zamfara State; 14 former council chairmen, all his ex- commissioners, friends and other political associates. Shinkafi was the executive governor of Zamfara between 2007 and 2011 but was defeated by AbdulAziz Yari of the defunct ANPP in a hotly contested election in 2011 when he was making moves to get a second term. He also re-contested in 2015 but was defeated again by Yari. Speculations that raged for weeks came to fruition at the weekend when Shinkafi pitched his tent with the ruling APC after series of meetings by stakeholders of both his former and new party in Kano, Kaduna and Sokoto. Speaking during the formal declaration in Gusau, the state capital, Shinkafi hinged his action on the quest for rapid development of the state, support for President Muhammadu Buhari’s anti-graft war and the crises rocking the PDP at the state and national levels. He then asked all his supporters to go back to their respective wards and receive APC membership cards, saying he and those who believe in his political ideology defected on their own volition. He said there was no agreement on what position goes to who.